This entry was posted in Development and tagged School of Nursing on April 24, 2014 by Wire Eagle. AUBURN UNIVERSITY – Alacare Home Health and Hospice Services Inc. has made the lead gift to Auburn University to help construct a proposed new building for the School of Nursing. 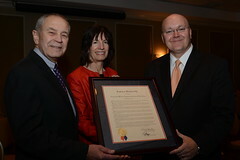 Alacare President and Chairman John Beard and CEO Susan Beard Brouillette are longtime advocates of the corporate partnership between Alacare and the School of Nursing. Alacare facilities around the state have long served as clinical rotation sites for Auburn nursing students. Alacare’s prior philanthropic support has helped to purchase life-like mannequins for the school’s simulation lab. The mannequins were appropriately nicknamed “Mr. Charlie” and “Miss Mary Sue” after John and Susan’s parents. 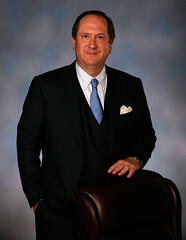 Charlie Beard founded Alacare in 1970. This entry was posted in Alumni, Development and tagged Samuel Ginn College of Engineering on April 11, 2014 by Wire Eagle. AUBURN UNIVERSITY – Auburn University’s Samuel Ginn College of Engineering has received a $10.55 million philanthropic investment from Walter S. “Walt” and Virginia E. “Ginger” Woltosz to support its students’ educational needs and faculty’s research efforts, while bolstering the technical advances of its research facilities. Their charitable gift is the second largest in the college’s history. In recognition of their support, the Auburn University Board of Trustees voted to name engineering’s central research facility in the Shelby Center for Engineering Technology as the Woltosz Engineering Research Laboratory. Walt Woltosz earned a bachelor’s degree in 1969 and a master’s degree in 1977 in aerospace engineering from Auburn and also holds a master’s in administrative science from the University of Alabama in Huntsville. He is chairman and CEO of Simulations Plus, a company he founded in 1996 that is a leading developer of simulation and modeling software for drug discovery and development in the pharmaceutical and biotechnology industries. Simulations Plus products are used by more than 200 pharmaceutical firms, including the world’s Top 25, helping to analyze new products and saving millions of dollars in research and development costs. This entry was posted in Development and tagged Auburn University Foundation on March 1, 2013 by Wire Eagle. AUBURN UNIVERSITY – The Auburn University Foundation, which receives all charitable contributions made in support of and to benefit Auburn University and Auburn University at Montgomery, recently appointed four new directors to its board and named a new board chair. 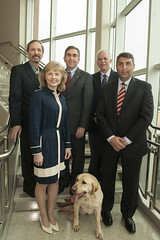 The new directors are Dottie Kenady Blair ’81 of Montgomery, retired owner and president of Central Alabama Nursing Services; Ronald Dykes ’69 of Atlanta, retired chief financial officer of BellSouth Corporation; Maj. James Hoskins ’81 of Reston, Va., chairman and CEO of Scitor Corporation; and Benny LaRussa Jr. ’82 of Birmingham, founder and CEO of Sterling Capital Management.